Our clients are groups and organizations who want to build healthy work environments where people are engaged, happy and productive. 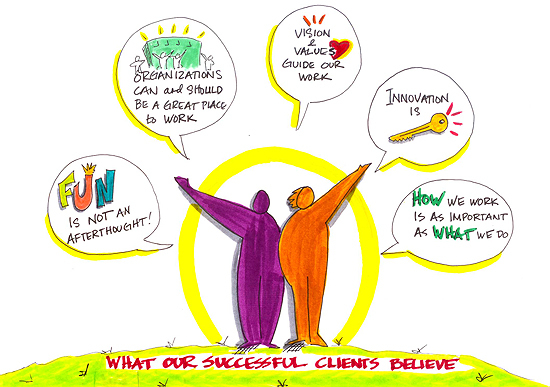 These clients know that change is constant and adaptability is key to survival. They also know that how we work together is as important as what we do. If this is you, please click on What I Do to see, well, what we do.